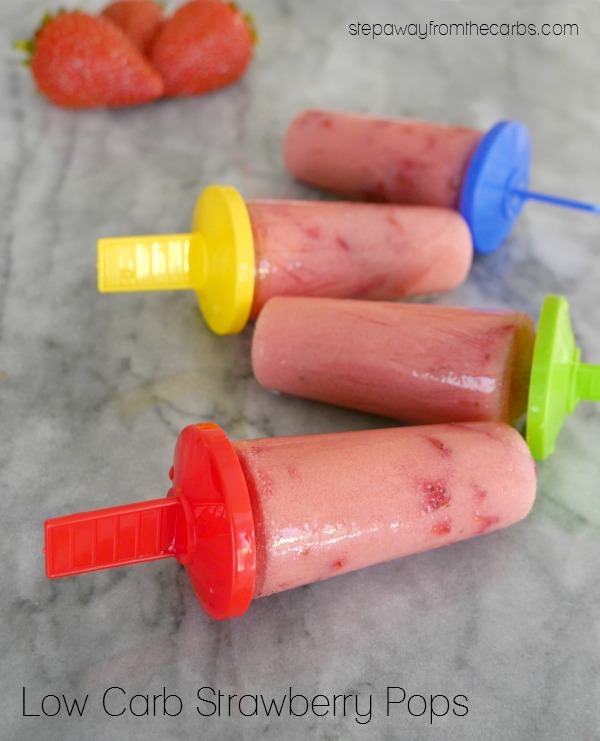 These refreshing low carb strawberry pops contain less than 1g net carbs per pop! Have you tried any of the Walden Farms products? I’m a huge fan of their zero carb ketchup, so I was very interested to try their strawberry fruit spread – which is also ZERO carb! It is made with concentrated fruit extracts and natural flavors, but contains no calories, fat, carbs, gluten or sugars of any kind. Does it sound too good to be true?!?!? A quick taste test reveals a pleasantly sweet, super smooth fruit jelly. Although it has a strong strawberry flavor, I wanted to add some freshness to it, by combining it with fresh strawberries. 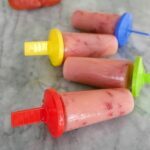 So I decided to make these super refreshing pops that are also REALLY low in carbs. Although strawberries are one of the fruits that is lowest in carbs, a medium strawberry contains about 0.7g net carb – so it does start to add up if you use a lot! So with summer on the way, enjoy these sweet treats – guilt free! 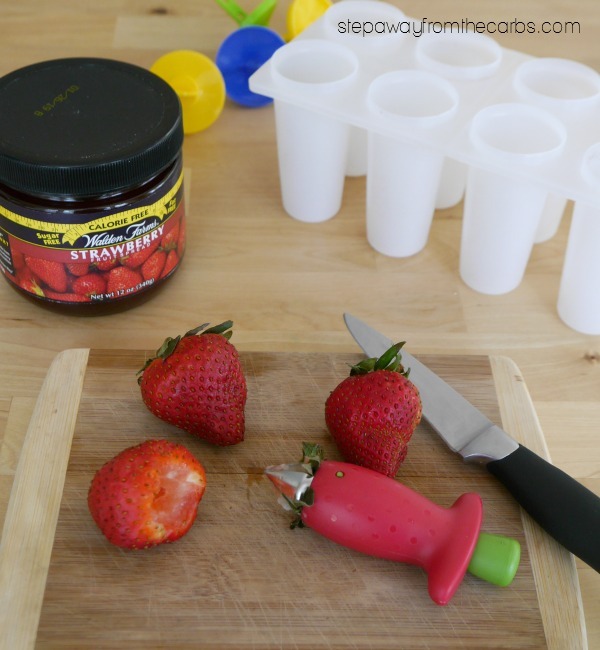 Add the Walden Farms Strawberry Fruit Spread, ricotta and water to a blender. 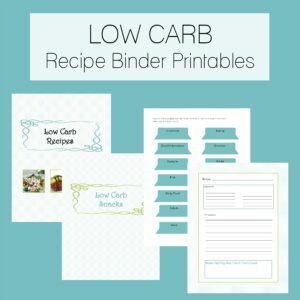 If you don’t have ricotta then heavy cream or unsweetened almond milk would probably work, but I think it needs some kind of dairy component. Blend until smooth. Add in a few fresh strawberries, then pulse a few times until they are roughly chopped. Test for sweetness and stir in some Da Vinci Sweetening Syrup if needed. It probably depends on how sweet your strawberries are but you shouldn’t need much. Pour the mixture into pop molds (I have this popsicle mold), add the handles, and place in the freezer. Add the fruit spread, ricotta and water to a blender. Blend until smooth. Add in a few fresh strawberries, then pulse a few times until they are roughly chopped. Test for sweetness and stir in some Da Vinci Sweetening Syrup if needed. Pour the mixture into pop molds, add the handles, and place in the freezer. 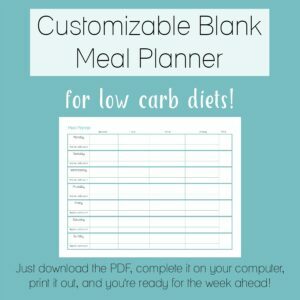 Remember to head over to Netrition.com for all your favorite low carb products!